It’s time to plan holiday trip with your family and friends. 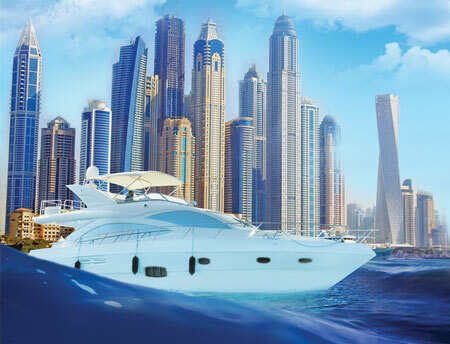 We believe you should experience luxury yacht charter in Dubai. Here we list the top 5 reasons why you should charter a yacht in Dubai. Yacht Charters can make you experience luxurious comfort at its best. The interiors of yachts is lavish having spacious lounge, cozy bedrooms, deck, sitting and dining areas suitable to spend fantastic time with your loved ones. 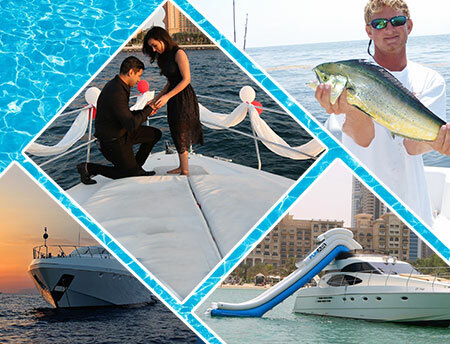 In Dubai, chartering a yacht with professional skipper and crew on board adds an extra flavor to your holiday! This is the type of a holiday is the most relaxing; where you simply chill and let the crew do all the work. However skipper’s assure to keep you safe and help you enjoy the holiday. Dubai is famous for its incredible selection of modern architecture. While chartering you can get views of Dubai Marina one of the stand-out developments in UAE. High-rise luxurious apartment blocks, waterside restaurants, shops and more. Next in the yacht journey comes impressive, the Burj Al Arab the most luxurious hotel in the world, the amazing Palm Jumeirah; and the big yet fabulous, Atlantis hotel. 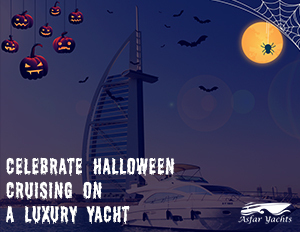 Quench your thirst and refresh by complimentary assorted soft drinks, tea and coffee offered on yachts. 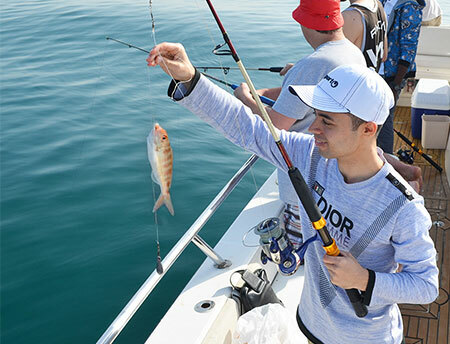 Free to use on-board fishing equipment perfect for deep sea fishing. Relax and watch from the sea, Dubai skyline that looks inspiring at sunset. Yacht companies offers extras services that can make your cruise even more memorable. This includes wide selection of delicious food, rocking music system to enjoy the best entertainment on-board, beautiful cakes and decorations to celebrate your special occasions and parties. 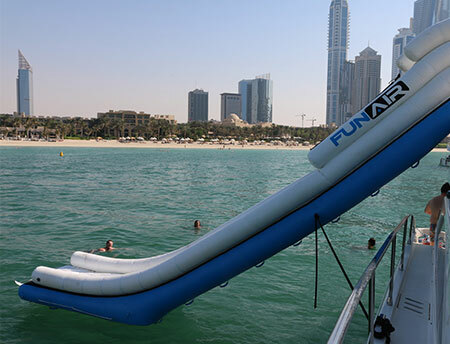 Above are the few but there are more reasons for cruising in Dubai. So what are you waiting for? 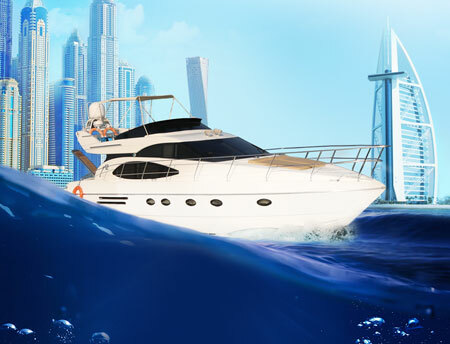 Just go and explore adventurous deep blue sea of Dubai on yachts in luxury and style. 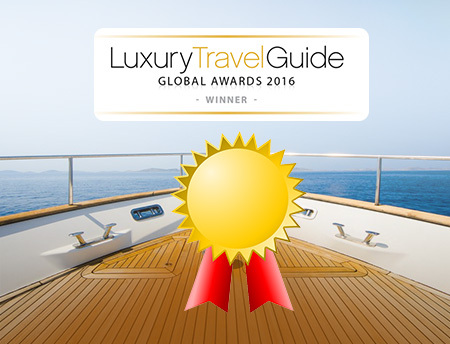 Luxury Travel Guide Global Awards 2016 : Asfar Yacht have been Nominated and Announced as a Winner! "It's Time For Luxury Yachts Charter"
Asfar Yachts is the luxury Charter specialist in the Middle East. We have been helping to create unforgettable yacht charters. 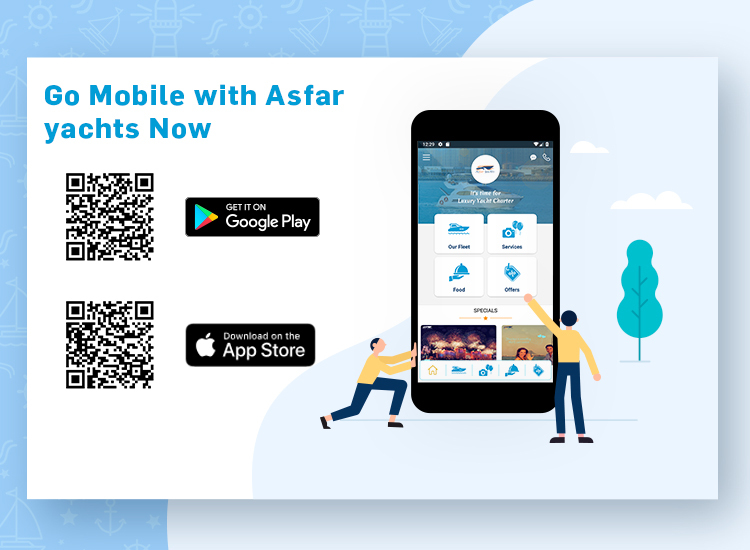 Copyright © 2008 - 2019 Asfar Yachts Charter LLC. All rights reserved.